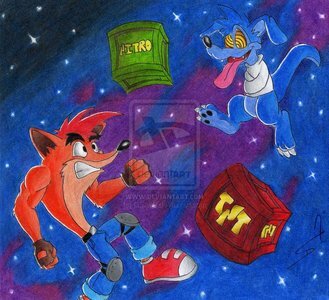 Mine would eather have to be Crash ou Ripper Roo. RR, because he's insanity and design makes him fun to watch and his battles are like really challenging too! 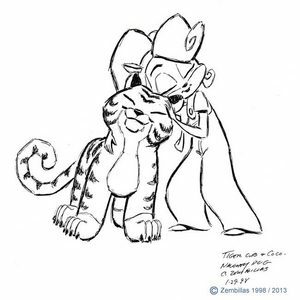 Oh... Ripper Roo is the greatest. 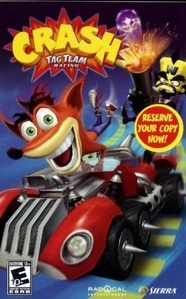 Crash, because he's like a great môle, mole model for kids! He's cool, he's heroic, he's funny and he's an awesome athlete who wears awesome gloves and does an awesome dance! And I do also kinda find him handsome myself. I l’amour this crazy, blue kangaroo. My favourite Heroes are Crash Bandicoot and Coco Bandicoot, because they are good siblings. My favourite Villain is Doctor N.Gin, because I like His Mecha, Machines, His Cybernetic Voice, His Eastern European Accent and His Red Hair. 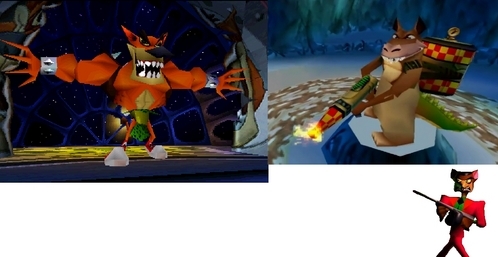 Dingodile has always been my favori from the first moment I saw him. and he will always be my number 1 favori in the games. Coco is my favourite! 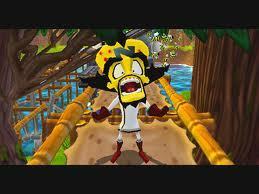 I also l’amour Crash and Aku Aku. 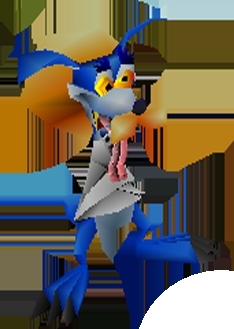 My favourite villains are Dingodile and Ripper Roo.